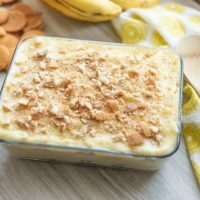 Classic southern homemade banana pudding starts with the crunchy layer of vanilla wafers, layered with perfectly ripe banana slices and covered in the best homemade vanilla pudding you have ever tasted. 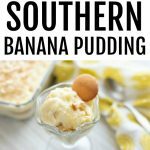 If you grew up in the south then this style of banana pudding is the kind you always remember your mom or grandmother used to make. Now you can make it for your family. 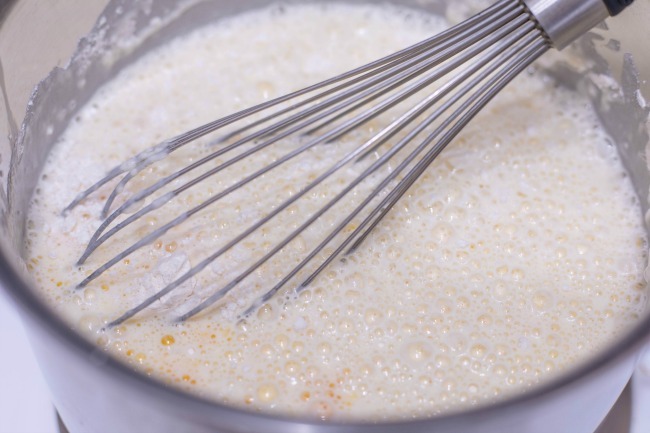 Begin by mixing your flour, sugar, salt, milk, egg yolks and vanilla in a saucepan. Cook until thick, continuing to stir so that it doesn’t stick to your pan. This will take approximately 15-20 minutes to thicken. 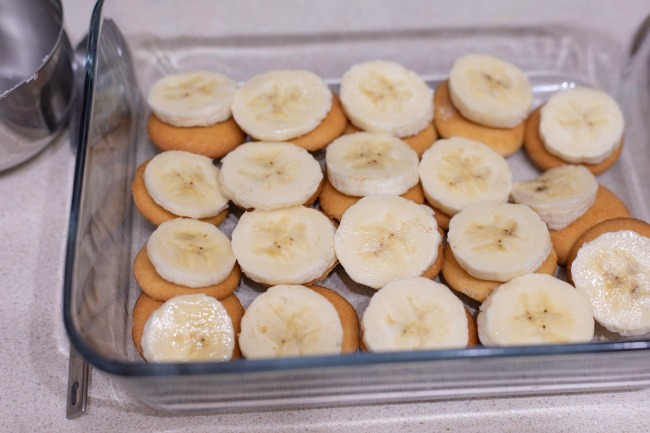 Layer the cookies and banana slices in bottom of the dish. Pour 1/2 of the pudding mixture over the top. Repeat with a second layering of cookies, banana’s and the second 1/2 of the pudding. The last step is to crunch up a few additional vanilla wafers and sprinkle on the top. 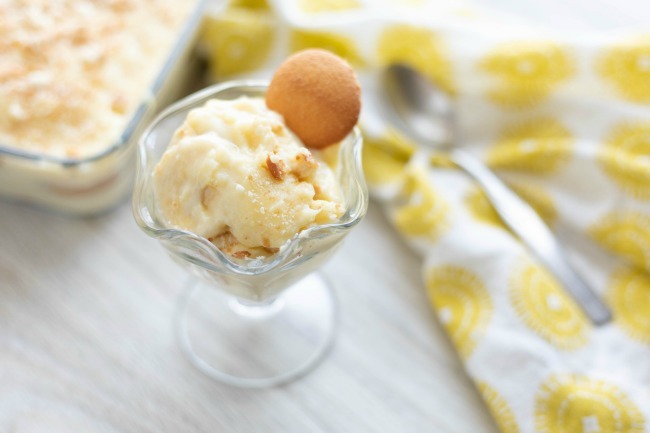 Some southern banana pudding recipes top their pudding with a traditional meringue. If you would like to stick to that, you can find how to make a traditional meringue recipe here. You could also top with whipped topping, which we think would be delicious as well. I certainly don’t think you can go wrong with either topping as the true power player of this recipe is the rich vanilla egg custard. 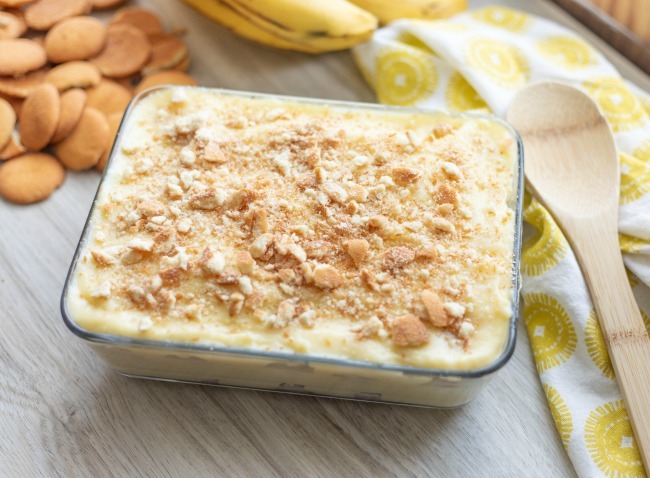 Yes, you can eat this delicious southern homemade banana pudding straight away if you like it warm, otherwise, refrigerate until you are ready to serve. This recipe is so easy, truly the only difficult part is waiting for it to chill before eating. 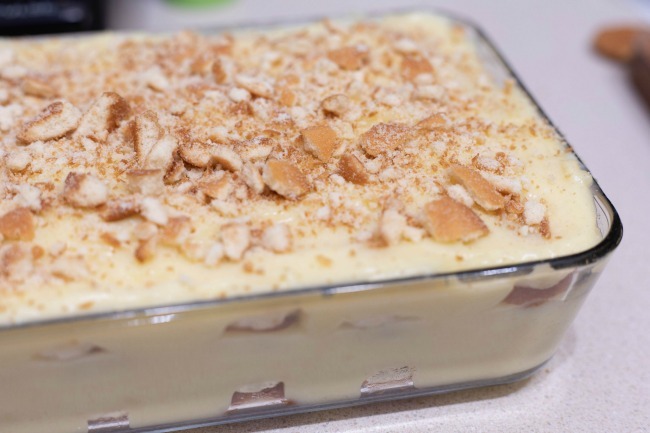 Can banana pudding be made the night before? Yes, most people actually prefer that it has time to sit in the refrigerator to become chilled, rather than eating straight from cooking. 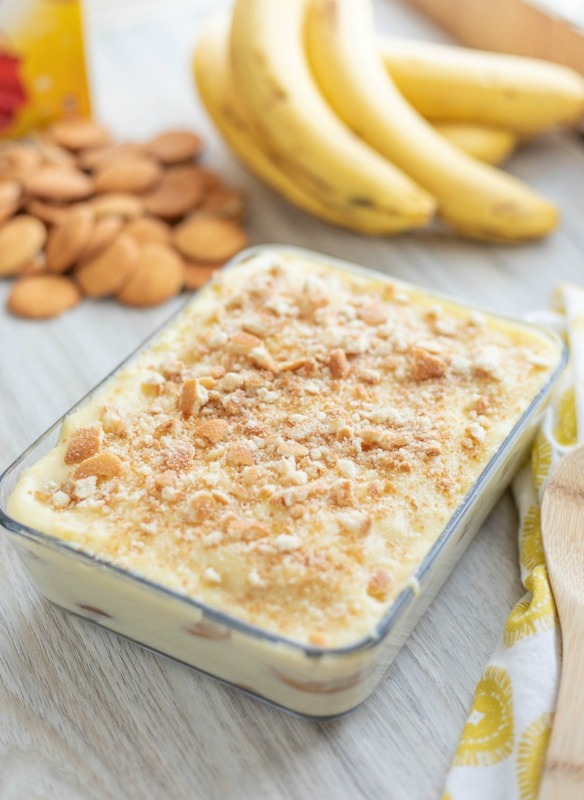 Since it can be prepared ahead of time, Banana Pudding is a wonderful dessert to serve for picnics, barbecues, and potlucks. Will bananas turn brown in pudding? Yes, they will start to brown after a day or so. This is the reason it is important to get bananas that are ripe but not overripe. The peel should be yellow with no green showing ,with very minimal to no signs of browning. 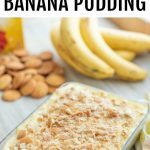 How Long Does banana pudding last in the fridge? 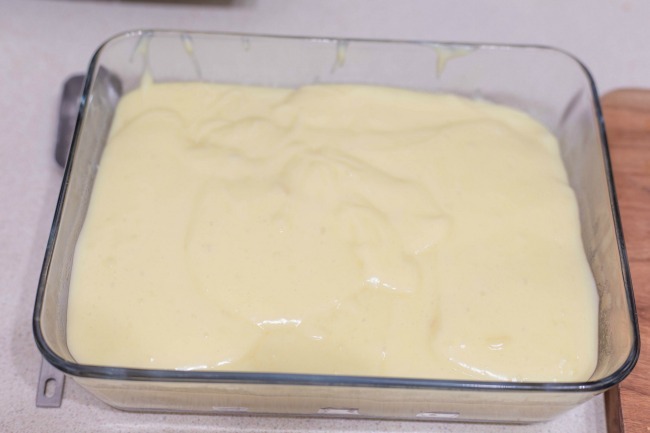 Banana pudding can be safely stored, covered in the refrigerator for up to 3 days. 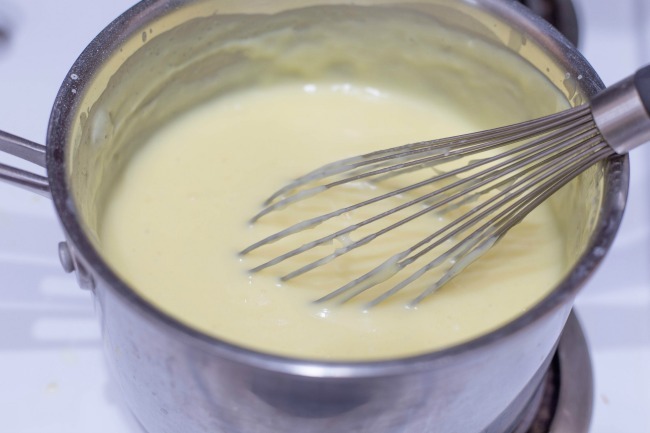 Mix your flour, sugar, salt, milk, egg yolks and vanilla in a saucepan until thickened. Continue to stir constantly as it will stick. This will take approximately 15-20 minutes to thicken. Place a layer of bananas and cookies in bottom of dish. 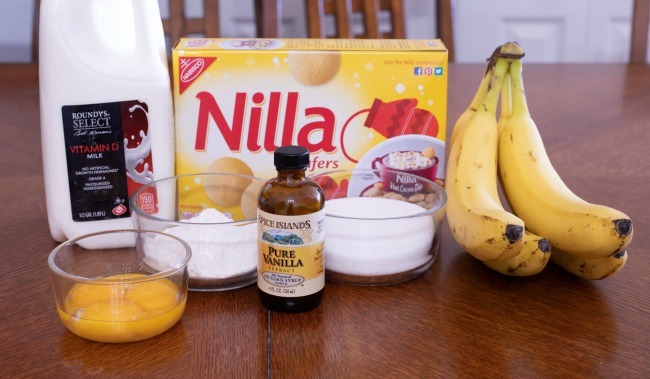 Pour 1/2 of the mixture of pudding over the bananas and cookies. Crumble a few vanilla wafers and sprinkle on top. You can eat this dish straight away if you like it warm otherwise refrigerate until you are ready to serve. Some people like to serve topped with meringue or whipped topping. You can do as you desire. 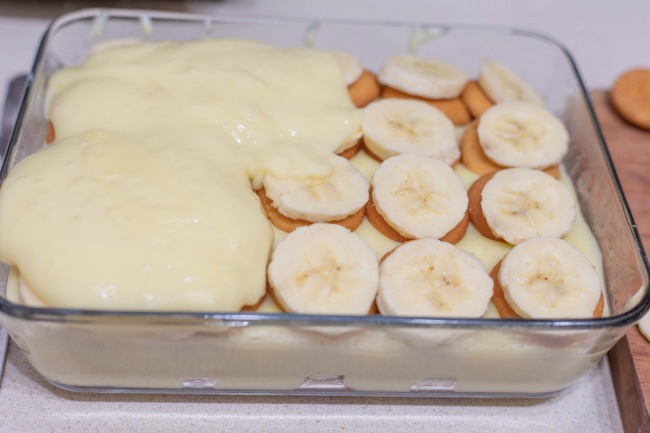 If you enjoyed this pudding recipe here are even more banana recipes you might enjoy as well. First, this sounds yummy! Second, I like how the word “bananas” looks with the font you use. I know, I’m a little crazy that way. Thank you, Anna, I went in and fixed it.